I don’t know what to do anymore, as far as my blessed Democratic Party is concerned. It seems that the more we – out here on the “Left Fringe” – argue that we should, as a party, fight for basic human rights, marriage equality, women’s rights, to improve education, single payer health care, anon, anon; the more we find ourselves wrestling with our own party than with the GOP. The habit of passive messaging is falling on still deaf ears this year just like the others, and the GOP lite strategy that has failed for decades is still in full operation – some more. So, instead of stumping for a Party that would be delighted to get rid of all these pesky Democrats, I’m going to stump for you, your friends, your family, and your neighbors to Vote Not GOP* this year. It’s that simple. Now – here’s the exciting part: we’re having a contest. 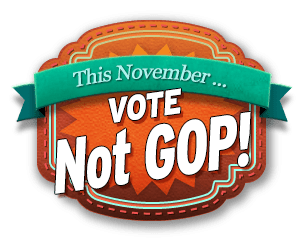 I want you, you fabulous American, you, to put together a 30 second message or a powerful graphic, about why people should vote for anyone but a Republican this year. The categories for this contest are Audio, Video, or Art. We will pick a winner in each of the three categories and those three winners will get prizes! We’ll have you on The LEFT Show to tell us about your piece. You get a fancy, new The LEFT Show T-Shirt! Well use your message, attributed to you, on all of our messaging, social media and paid Facebook ads. You’ll bask in the glow of your awesomeness and patriotic fervor. Entries are due 11:59pm on July 5th, 2014. 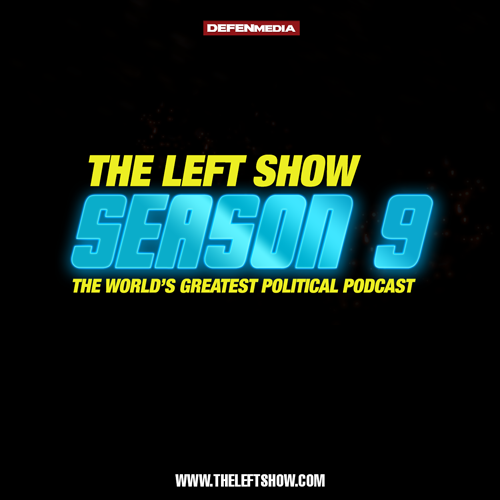 Look for more details on The LEFT Show website next week, or write to theleftshow [at] defenmedia [dot] com for more information.